A group that represents every city and town in Washington has stepped into the legal battle over Seattle’s quest for an income tax, arguing the city didn’t need specific authority from the Legislature to enact such a tax in 2017. All 281 municipalities in the state belong to the Association of Washington Cities, including cities in conservative areas without the same appetite as Seattle for income taxes, so it might seem strange for the group to support the state’s largest city in the case. “While cities and towns have differing policy views on revenues, AWC believes its mission includes protecting local revenue authority for city services,” the nonprofit lobbying group wrote Oct. 17 in a brief filed jointly to the state Supreme Court with the cities of Olympia, Port Townsend and Port Angeles. 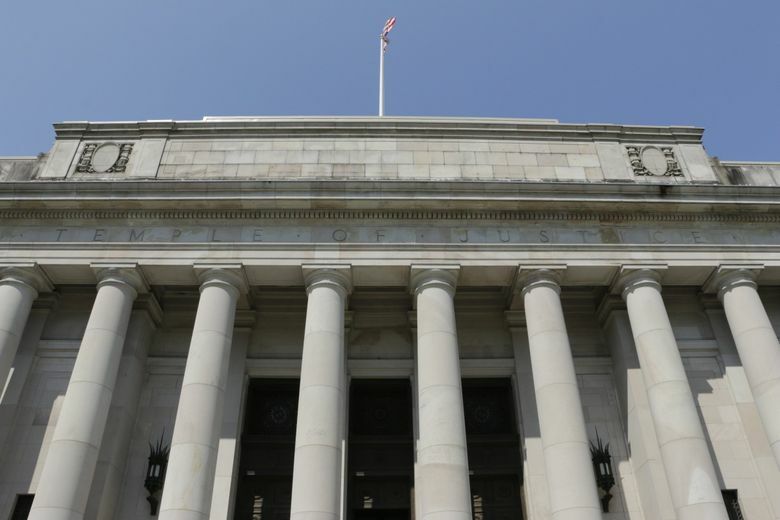 After a lower-court ruling struck down Seattle’s income tax last year, the city asked the state Supreme Court to review the case. The court is likely to make a decision before the end of this year. Given the diverse political interests in AWC, the group waded into a particular legal debate while leaving alone other questions related to Seattle’s tax, said Peter King, the group’s chief executive officer. For instance, the group didn’t weigh in on whether Seattle’s tax violated the state constitution’s ban on taxing property progressively, or on whether taxing high earners is a good idea. In striking down Seattle’s income tax last year, King County Superior Court Judge John Ruhl said the city lacked specific permission from the Legislature to impose the tax. In its brief, AWC said cities don’t need specific permission to impose taxes, thanks to a state law that gives them broad “home rule” power to manage their own affairs. Ruhl also said the Seattle tax violated a state law that bans taxes on net income. AWC didn’t address that directly in its brief. Ruhl didn’t take on the question of whether the Seattle tax violated the state constitution’s requirement that property be taxed uniformly. That question has been seen as a significant impediment to an income tax. AWC’s board of directors, which includes elected officials from cities as diverse as Seattle, Spokane and Waitsburg, Walla Walla County, voted overwhelmingly to file a brief, King said. The group’s longstanding purpose is to advocate for policies to be made “by the governments closest to the people,” he said. The Seattle City Council voted unanimously to impose a 2.25 percent tax on total income above $250,000 for individuals and above $500,000 for married couples, estimating the measure would raise $140 million per year to provide housing, education and transit and to lower other, regressive taxes. Washington’s tax system has been called the most regressive in the country by tax-reform think tanks, meaning that low-income people pay a much higher percentage of their earnings than do wealthier residents. Washington is one of only seven states with no income tax, and no city in Washington imposes such taxes. Almost immediately after Seattle adopted an income tax, several city residents sued, including some backed by conservative groups. Washington voters have rejected income taxes more than once, and the Supreme Court decades ago said income was property. Matthew Davis, a lawyer representing one of the plaintiffs, said he expects the Supreme Court to take the case and to announce that by the end of the year. Davis said he expects a ruling from the court next year. John Schochet, Seattle deputy city attorney, said he also expects the court to make an announcement about the review by the end of this year.